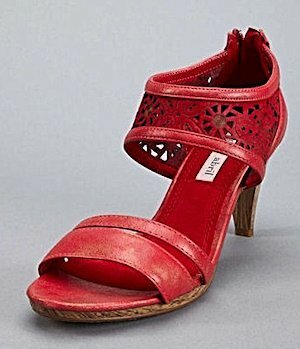 Size: EU 39, US 8.5-9 (true), heel 3"
These gorgeous Pilar Abril Italian red leather sandals feature a 3" wood heel and phenomenal laser cut leather instep band and zipper back closure so they are extremely easy to get on and off. Italian size equal to a U.S. size 8 1/2. Guaranteed authentic, 1 available.